Mechanic's Assistant: Are you fixing your Yukon XL yourself? What have you tried so far? Trying to yes, checked the fuses, wiring harness for turn signals, replaced flasher unit, cleaned and tightened the grounds. Hi, my name is ***** ***** the front parking lights work? ok, do you have a test light or a volt meter? ok, with the key on, do you have power at the =brown wire at the front turn signals? so you have power at he brown wire at the trunsiganl socket? 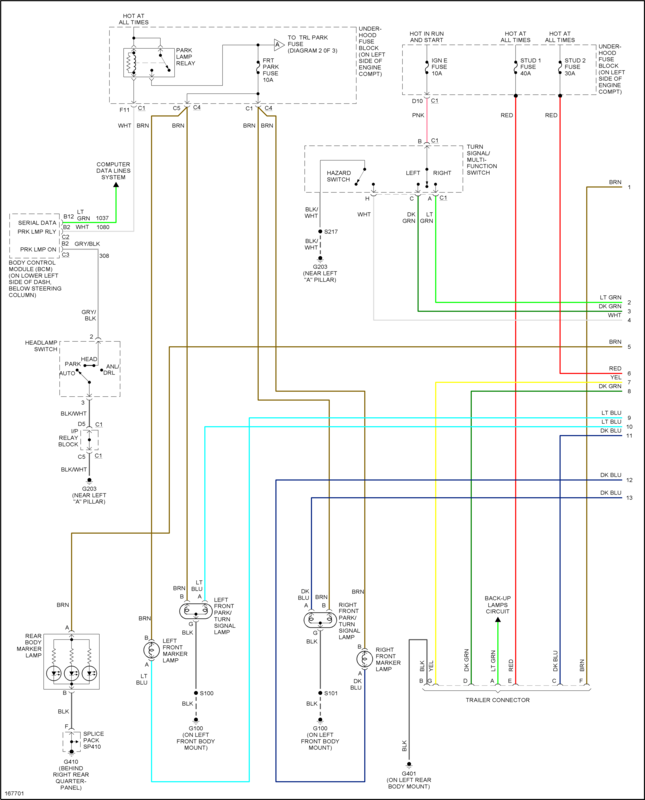 ok, on the light blue wires at each, do you have power, when the turn signals are on? ok, in the fuse box under the dash, there are 2 fuses, one is marked LT TURN ans ne is marked RT TURN, do either of these fuse have power to them, with the key on and the tuers signals on? 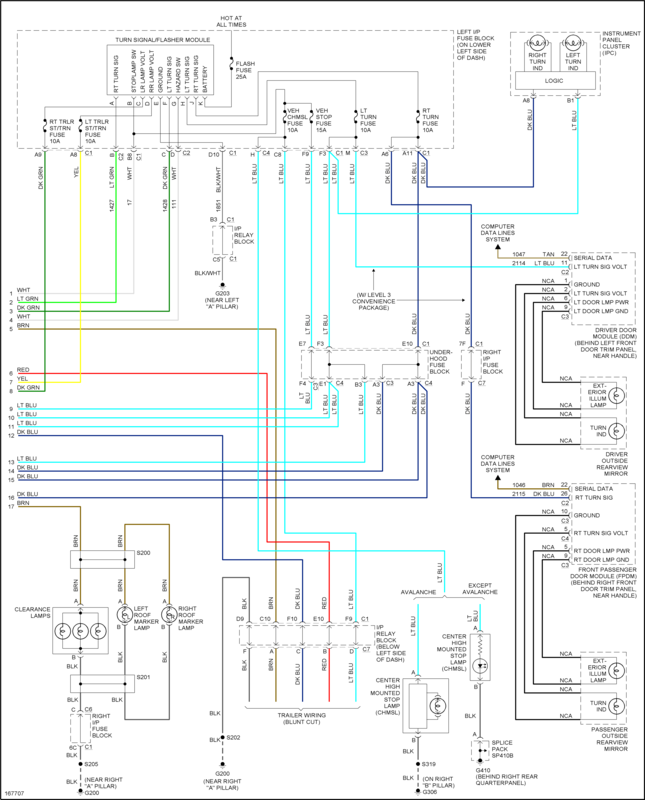 would you like a wiring diagram showing this? Will do Tim, I just had to rush to button everything back up, it's raining cats and dogs here in sunny Florida. Thanks for your help at least I have a starting point now. Isuzu: known faults..Have had the hazard switch replaced 3 times.